Action Links are actions you can do in chatter posts (e.g. 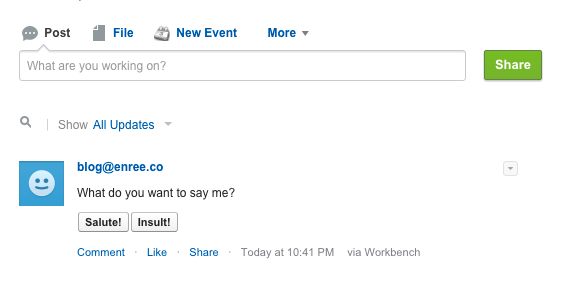 API call, document download, UI redirect) by clicking a button on the related chatter post. You may think that these actions comes to configuration and some sort of layout, but it is part configuration and part Chatter API call. Action Links are grouped into Action Link Groups but this is not the object that will be configured. In fact we talk about Templates (Action Link Group Template and Action Link Template): we define template actions rather than the actual actions we'll be executing. 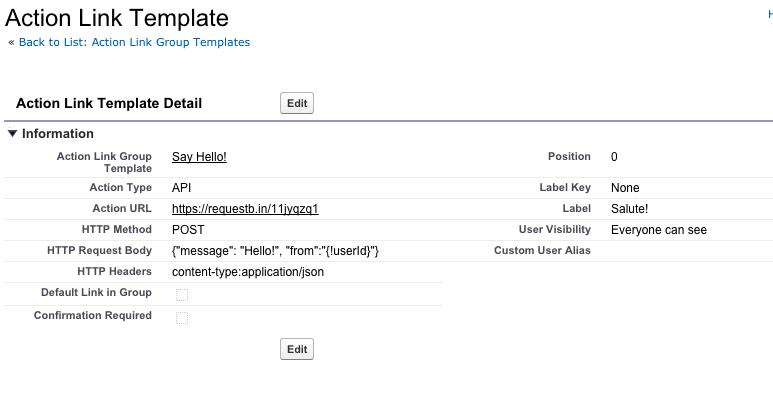 The template defines the actions you want to apply to a Chatter feed: when you want to apply the group of actions to a feed, we'll make an API call to get the "instance" of the actions to be linked to the feed. Once a group is published it cannot be modified anymore. Consider that URL, request body and headers can have standard and custom binding values (you can for example pass the current User ID or a custom binding value). 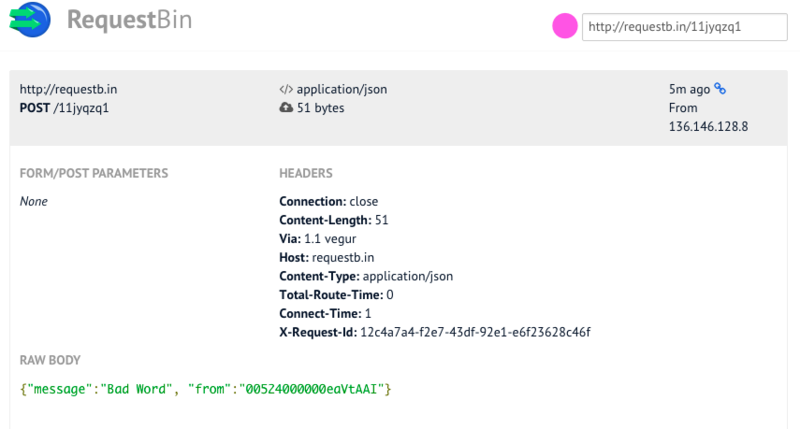 To use them we need a valid Session ID, a call to the /connect/action-link-group-definitions/ API endpoint and a call to Chatter API to send a feed. We'll be doing things manually (we could use Workbench, but we like to get our hands dirty!). 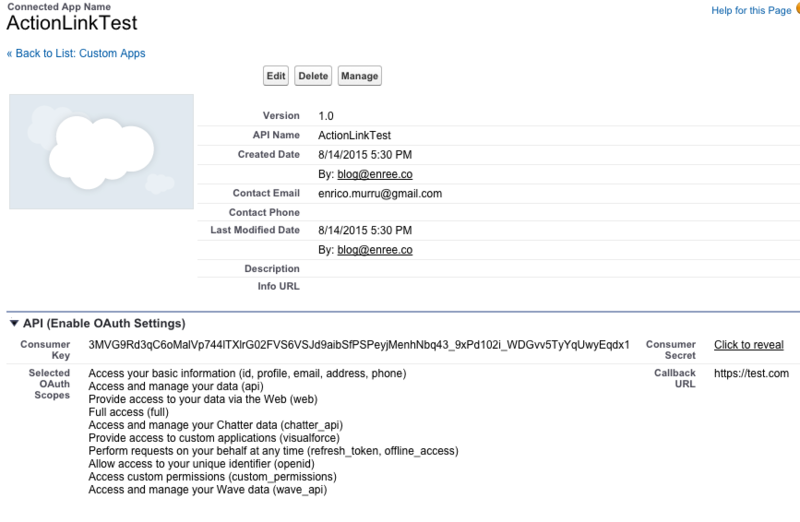 First we get a valid OAuth Session ID. to get access to Chatter API. This application will be online in 10 minutes at most. Where templateId is the ID of the Action Link Group Template (you can query for it or get it in the configuration section of the template), and templateBindings is a list of objects (with "key" and "value" fields) for custom bindings. "text": "What do you want to say me?" // Get the action link group template Id. // Create ActionLinkTemplateBindingInput objects from the map elements. 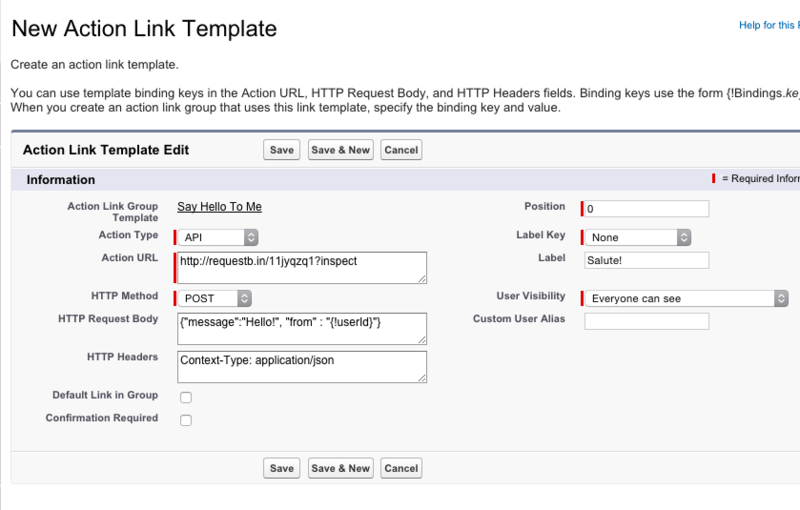 // Set the template Id and template binding values in the action link group definition. // Instantiate the action link group definition. Imagine you can use this feature for allowing selected users to partecipate to surveys/polls or make them doing actions to monitor their behavior.